We offer fast, professional junk removal services - whether you have just a few items or a complete Indianapolis estate cleanout, we've got you covered. Residential, commercial, construction? We haul away just about anything! (Except hazardous materials). 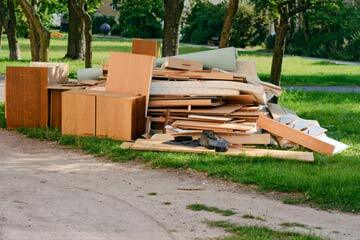 Is junk building up at your home or office? 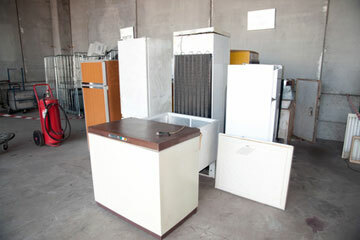 From old furniture and appliances to construction waste and debris our haulers can take care of it. We offer whole-house cleanout and estate cleanouts in addition to hauling away just the odd thing or two - whatever you need hauled away. Moving? Whether you're throwing out stuff you're not taking with you or need stuff removed from where you're headed to we offer moving cleanout services to take care of any junk you may have. From unwanted furniture to appliances, if you're moving and it's not going with you, contact us for professional Indianapolis moving cleanout services. 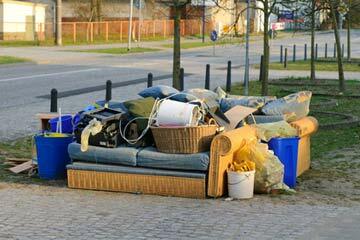 Residential junk removal: couches, beds, furniture, etc. Commercial junk removal in Indianapolis, IN. Office furniture removal in Indianapolis, IN.